Browning was the first curator of Marlipins Museum and not Henry Cheal as is popularly believed. Born in 1854 he had a varied career starting as a 15 year old in a railway buffet at London Bridge Station, then as a railway clerk followed by a position with Ordnance Survey. After some time in an accountant’s office he joined the London & County Bank that was to become the Westminster Bank. He retired in 1914 after working at the bank’s Hove branch and in 1921 moved with his wife Mary Ann to Lennoxdale in Middle Street, which is now Myrtle Cottage just above the twitten between Middle and Church Streets. He became much involved in the social life of the town and its welfare including raising money for local charities. 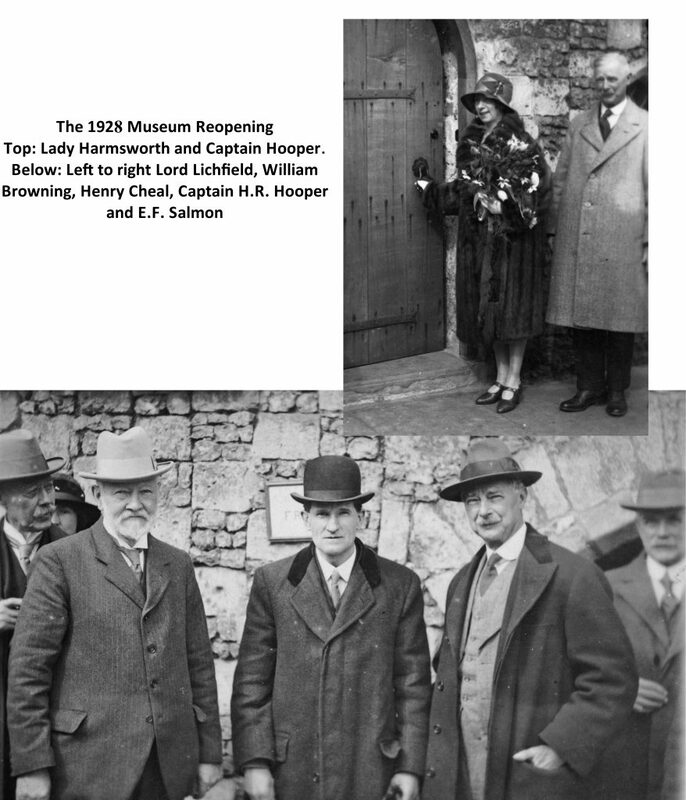 The opening of the museum in 1925 (William Browning is on the right) and an enlargement of the 1923 sign inviting donations and viewing before Browning opened it on a daily basis. He worked closely with fellow committee member and Shoreham historian Henry Cheal as well as other local committee members that included Captain Herbert Ross Hooper, O.B.E., descendant of ancient Poole family of Shoreham; Harold Brown, town notary; Dr. A.K. Ledger, a Shoreham G.P. 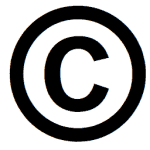 ; William C.A. Winton whose early 20th century Shoreham postcards are still much collected, and Southwick resident E.F. Salmon, a writer and author of local history books. Top: William and his wife Mary Ann on the day of their 50th wedding anniversary at Lennoxdale in Middle Street. Centre left: William and Mary outside the museum at the 1925 opening. 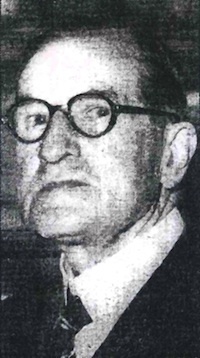 Below right: William in 1931, shortly before his death. In 1925 sufficient funds had been raised to purchase the freehold for the Sussex Archaeological Trust (now Sussex Archaeological Society). It was inaugurated as a museum the following year and Browning was appointed as curator. Extensive renovation work commenced in November 1927, completed in March 1928 and the museum reopened on the 25th April that year. 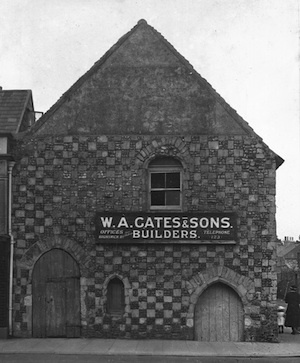 Born in Brighton 1873, one of eight brothers and sisters Henry’s father, also Henry, ran a plumbing business but this may have failed as by the 1890’s he is recorded as a builder’s traveller and then a builder’s clerk when the family were living in Shaftesbury Road, Brighton. Henry junior obviously had a musical ear as he became an organist at Ditchling church – the village was only a few miles north of Brighton but nevertheless involved a steep climb both ways for him each Sunday. It was Ditchling that first stimulated his interest in history as he subsequently wrote and published ‘History of Ditchling in the County of Sussex’ in 1901. Shortly afterwards Henry moved to Shoreham earning a living initially as an insurance agent and playing the organ in his free time at the Baptist church. It was then that his researching and writing attributes really blossomed. ‘The Ships and Mariners of Shoreham’ came first in 1909; an amazingly detailed record of Shoreham ships particularly those of the 19th century. He wrote numerous articles some of which appeared in the Sussex County Magazine and by now had become recognised as an authoritative author on his subject. Cheal is best remembered though for ‘The Story of Shoreham’ published in 1921. Still accepted as the definitive work on the town’s history and covering a huge range of ancient to 20th century Shoreham matters, events, buildings and its people. 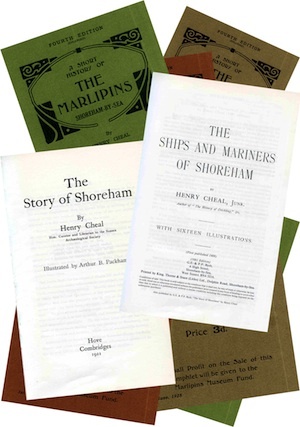 The booklet ’Old Sussex Seaport, a Brief History of Shoreham’ followed in 1924, the ‘History of Marlipins’ in 1925 then the similar ‘Short History of the Marlipins’ in 1932. His writing, researching and organisational abilities were already well known largely because of his books with the result he was offered, and accepted, the position of Secretary to the Preservation Scheme Committee. He worked tirelessly with the committee and William Browning in particular for the preservation scheme that, as previously described, culminated in a successful conclusion and inauguration of the museum. His sisters had married into the Eade family and his brother in law Arthur F.W. 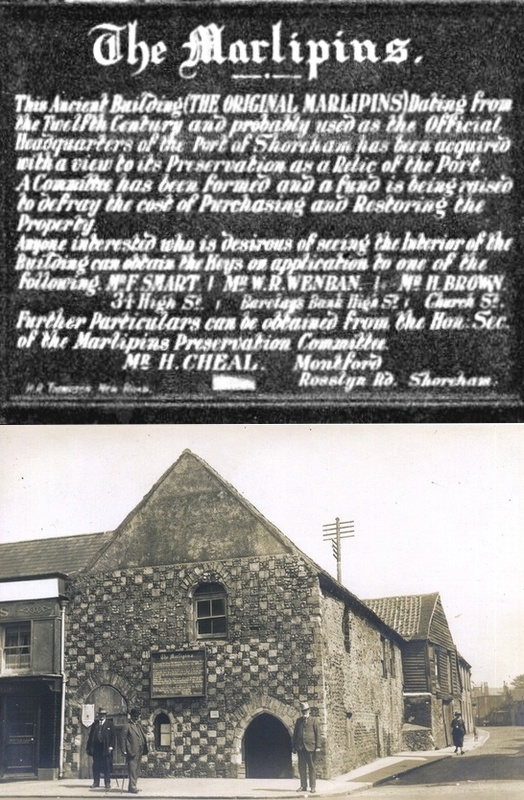 Eade who owned the numerous Eade & Sons stores in Shoreham, supported Cheal both in the publication of his books and in his work to create Marlipins Museum. Henry joined the postal service and for 21 years was acting postmaster at Bungalow Town at the post office in Eade’s shop at 16 Ferry Road and it was here Henry that was often to be seen writing his research notes behind the counter in between customers’ visits. Following William Browning’s death in 1932 Cheal was appointed as curator of the museum. 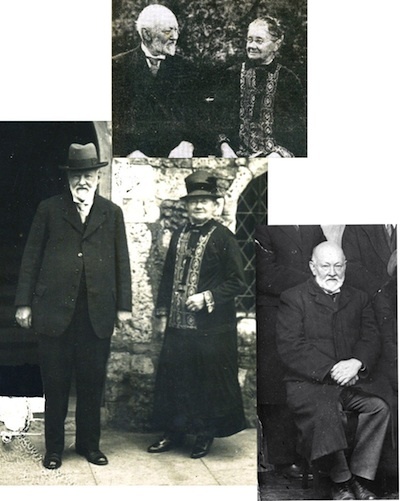 He was not known to be a man of any great means (1) and rented accommodation with Henry and Gertrude Mederson at their house ‘Montford’ in Rosslyn Road where he lived for many years. In 1935 the museum was visited by E.V. Lucas, a columnist for the ‘Sunday Times’ who provided a description of the museum exhibits as they were then: – “I have visited many museums but none so hospitable as this, for if you take the right hand door you literally tumble into the building. This opens on the ground floor where the old clock is and where you will find a very miscellaneous collection with a strong salty flavour – such as is given by the portrait of Frank Suter, a Shoreham sailor who save 20 lives – but also with such reminders of the dry land as a photograph of Mr. Trigwell, a famous Sussex shepherd with sheep, dog and whiskers, dated 1928, and a water-colour portrait, also with whiskers, of Mr. Mutton of Mutton’s Restaurant at Brighton, varied by a hunter’s cask such as our prudent ancestors took to the chase, cannon balls (guaranteed very heavy), boomerangs, brass rubbings, beams perhaps 1,000 years old from St. Nicolas church at Shoreham, a Sussex fire-back cast at Lower Beeding, stuffed birds, a case of pistols and cutlasses that may have killed a man, a bust of Lord Byron and the superseded lamp from the Kingston-by-Sea lighthouse. It seems Henry Cheal was a private man and despite his prolific writings has not left us with (nor has anyone else) any hint as to his personality or character and only one or two photographs. We know he was a religious man as he became a sidesman at St.Mary’s church in later years and the last part of his life seems to have been spent at 6, Montford Close near Kingston Lane. This close had the same name as the Mederson house and bearing in mind his association with the council through the museum, his standing in the town and his writings is it too fanciful to imagine that Henry Cheal was invited to name the close when it was built and modestly chose that name instead of his own? He is last recorded at a nursing home in Buckingham Road where he died at the age of 81 in 1954. Photos in this article are from the Sussex Archaeological Society’s Photo Archive and the Winton Collection on the Shorehambysea.com website. (1) He did however manage to leave £980 (worth about £21,000 now) in his will to his nephew Geoffery Russell Eade, the son of Cheal’s sister Susanna. Where was Henry Cheal buried? Hi Andy – I don’t know his place of burial but his funeral service was held at St.Mary’s, Shoreham so I would guess he is buried at the municipal cemetery in Mill Lane. They have records at the office there that were available to the public on Fridays when I used to do searches but may have changed since.